This super quick, super simple meal can be prepared in about 10 minutes. Serve with gingery cucumber mango salad. Put lobster tails in a pan and fill pan with water until lobsters are just covered. Remove lobsters. Add salt. Bring water to a boil. Prepare bowl of cold water. While water is coming to a boil, cut mango cubes out of the mango half. Put mango cubes into blender or food processor with coconut milk, vinegar and pinch of salt. When water comes to a boil, add lobsters back in and boil until their shells are red and they start to curl. Remove lobsters and toss them into the bowl cold water. 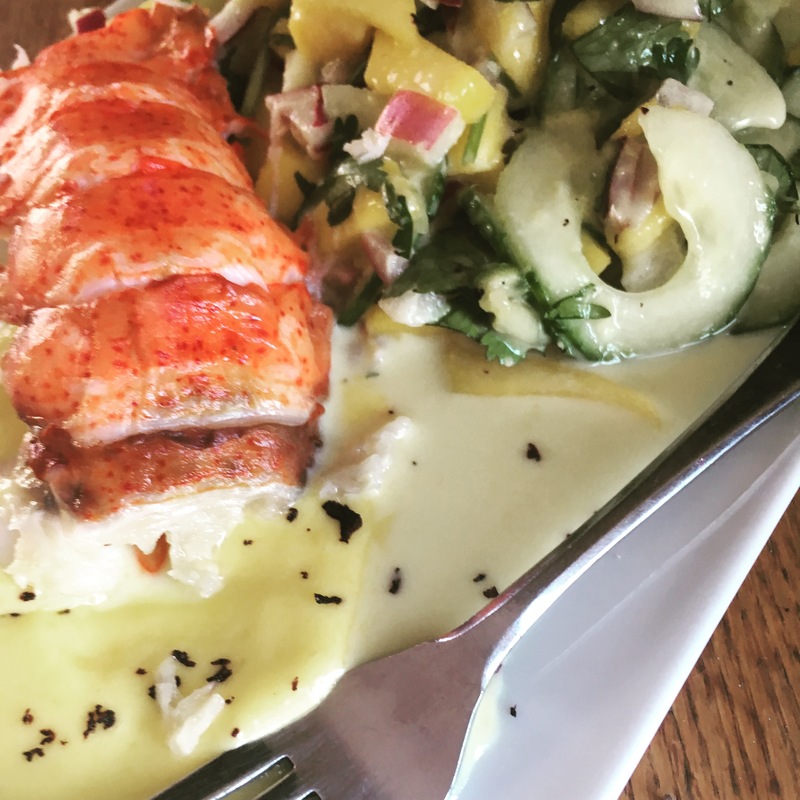 To serve just cut open the belly of the lobster with kitchen sheers and serve with a dollop of sauce and gingery cucumber mango salad.